Hardcover with dj 346 pp. Dj unfresh. 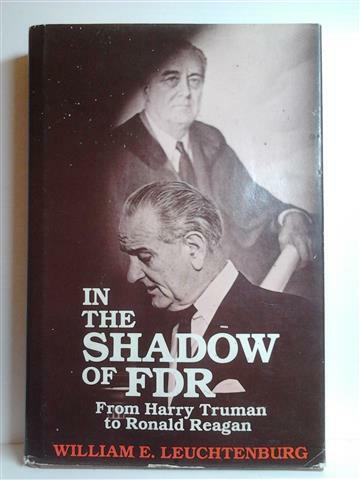 Note LT: The book demonstrates the enduring impact of Roosevelt on American society. In so doing, it provides an entirely new perspective on politics, the presidency, and reform in the past forty years. Leuchtenburg is one of the best-known US-historians. Truman maakt zijn wil bekend om in Griekenland, in Turkije en overal ter wereld het communisme te bestrijden. De USSR mag de Middellandse Zee niet bereiken. 22 januari 1946: Truman richt de Central Intelligence Group op en de functie van Director of Central Intelligence (DCI). 23 March 1949: Truman approves NSC 17/4, which reconstitutes the secret Interdepartmental Intelligence Conference to coordinate jurisdiction of FBI and military counterintelligence. 23 September 1949: Truman announces that the Soviets have exploded an atomic bomb. He entered politics as county judge and in 1935 became US Senator. He became Vice-President in 1944, succeeding as President after the death of Roosevelt in 1945. He ordered the atomic bombing of Hiroshima and Nagasaki; enunciated the Truman Doctrine (1948) on the 'containment' of the Soviet Union; inaugurated the Marshall Plan for the economic recovery of Western Europe; and supported the formation of NATO. In 1950 he ordered the US engagement in Korea. In the course of the war he dismissed General MacArthur because of the laters desire to extend the war into China.